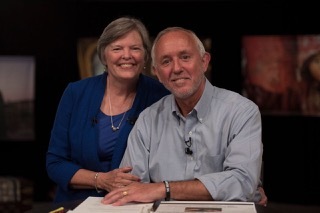 Nik and Ruth are mission veterans of 35 years with the International Mission Board, SBC, having served in Malawi, South Africa, Kenya, Somalia, Germany, Ethiopia and the Middle East. Nik has a BA in Religion and History from Georgetown College in Georgetown, Kentucky and Masters and a Doctorate of Ministry from Southern Seminary. Ruth has a BA and Masters in Education from Georgetown College in Georgetown, Kentucky. They currently serve as Global Missiologists. They have done extensive research among believers living in the midst of persecution in over 70 countries. Several books have been written to share the stories and lessons from these amazing believers. Nik and Ruth spend a lot of their time teaching in churches, schools and with mission organizations as well as with believers around the globe. Nik loves to read and garden. His greatest joy is being with TCKs (missionary kids). Ruth considers it a blessing to help women lose their fear as they figure out how to connect and fall in love with the nations. She especially loves to mentor women who serve in the Muslim world. Nik and Ruth are the parents of three sons, two amazing daughter – in – loves and a fantastic grandson. WHY THIS CONFERENCE IN NEW YORK CITY? There are an estimated one million Muslims in the metropolitan New York area. Despite much labor, we are still experiencing only the beginning of what the Lord is doing to establish a disciple-making movement among the Muslims of our city. 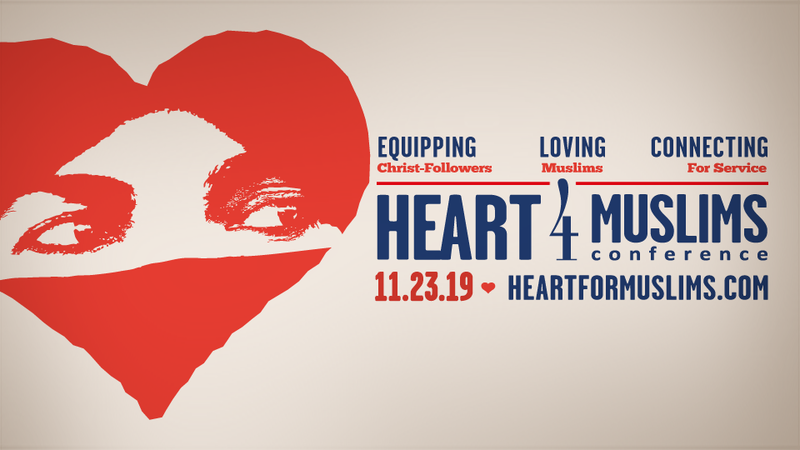 Because of our passion to Love Muslims, Equip the Body, and Connect People for Service, multiple NYC ministries are uniting to host the HEART FOR MUSLIMS conference. This citywide event will feature plenary speakers, breakout sessions, and guided prayer: all focused on effective missional engagement among our city’s Muslim peoples. Our speakers have years of experience in practical ministry to Muslims. There are plenary sessions, workshops, and panel discussions. You will have the opportunity to hear from various Muslim practitioners regarding what tools and techniques work and what don't. You will also get to hear directly from some Muslim Background Believers on how they came to Christ and how we can more effectively engage Muslims. You will have the opportunity to connect with missionaries, ministry leaders, and MMBS. Please register today. If you have any additional comment or question please contact us . WHY REACH MUSLIMS FOR CHRIST? No one can challenge the exponential growth of the Muslim population in the world. Islam continues to be the most powerful religion in the world, maintaining its ever increasing number in the Muslim world while invading much of the non-Muslim territories via immigration, culture, and its belief system. The rise of the Islamic State (IS) in 2014, and sectarian terrorist attacks in the Islamic world have troubled Muslims worldwide. As a result, there is an ever growing thrust and hunger for Jesus among Muslims. Our keynote speaker from the 2015 conference, David Garrison stated that "we are living in the midst of the greatest turning of Muslims to Christ in history. Muslims all over the world are reporting seeing visions and dreams of Christ. It is opening new doors to for us to answer their questions and develop relationships. Full admission to plenary and breakout sessions. Check out the schedule here.